I remember vaguely a few months ago, something about a local politician from Birmingham (1) who said that cycling was the preserve of young adult men and therefore we shouldn’t spend money on cycling infrastructure because it only benefits a small percentage of the population. At the time I was too busy racing, but I made a mental note to write something about this later. 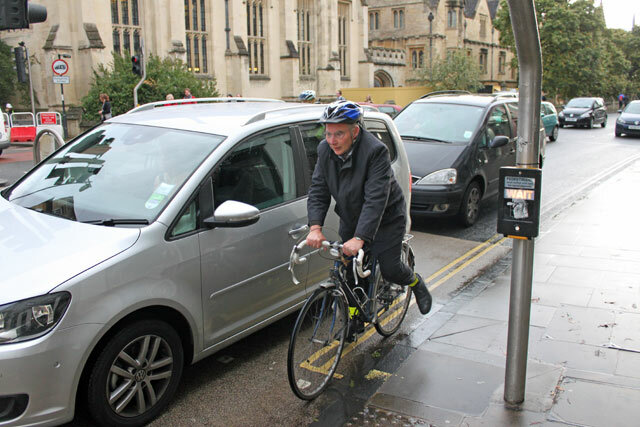 I’m probably three months late to state the obvious, but if the roads of a city are sparsely populated with cyclists – and predominantly middle age men – then it’s a very good sign that the opposite case needs to be made – It is a very good sign that a complete rethink is needed to encourage the broad section of society back into cycling. 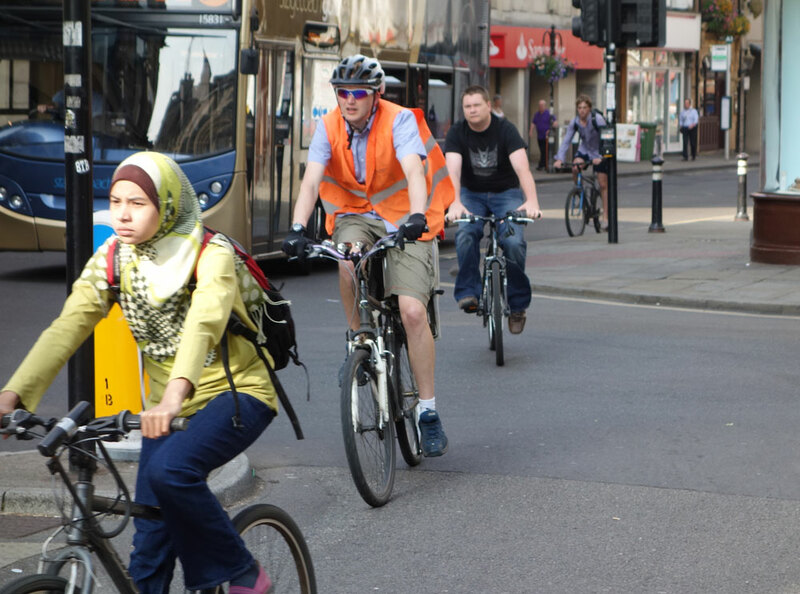 You only get a skewed demographic of cycling – if the roads are perceived as too dangerous – making cycling appeal only to those who have different tolerations or risk, danger and dealing with intimidating situations. The thing with cycling is that it is universal and democratic form of transport. It is cheap, accessible and at some point in time, most people have experienced some joy from learning to ride a bike. It is a shame, when this ceases to be the case. In the US, this report states that the typical cyclists is a 39-year-old male professional with a household income in excess of $45,000 per year who rides 10.6 months per year. In Europe, statistics for rates of female cycling as a % of cycling population are 45% Denmark, 55% in Netherlands, and 49% Germany, in the US it is 25%. 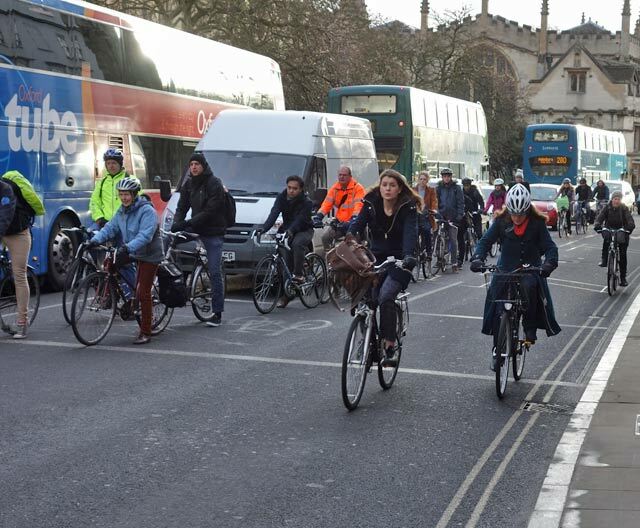 The only question is why do people stop cycling? 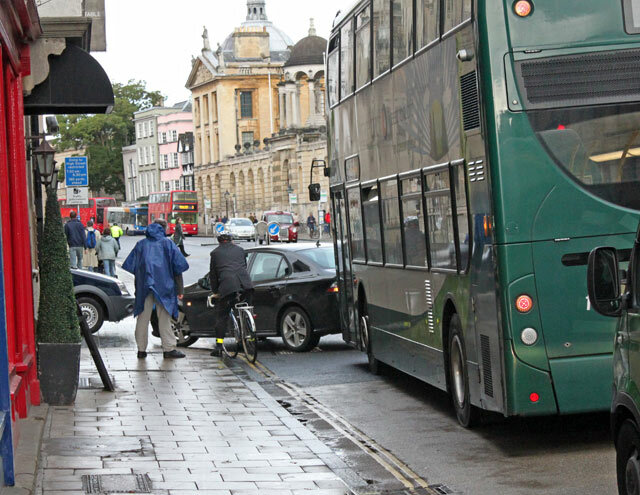 Statistically, you can make a good case cycling is still relatively safe. But if you have to fight traffic and heavy goods lorries, no amount of statistics can change the real perception that it’s a tough job cycling on many cities. Too many near misses, too much stress. 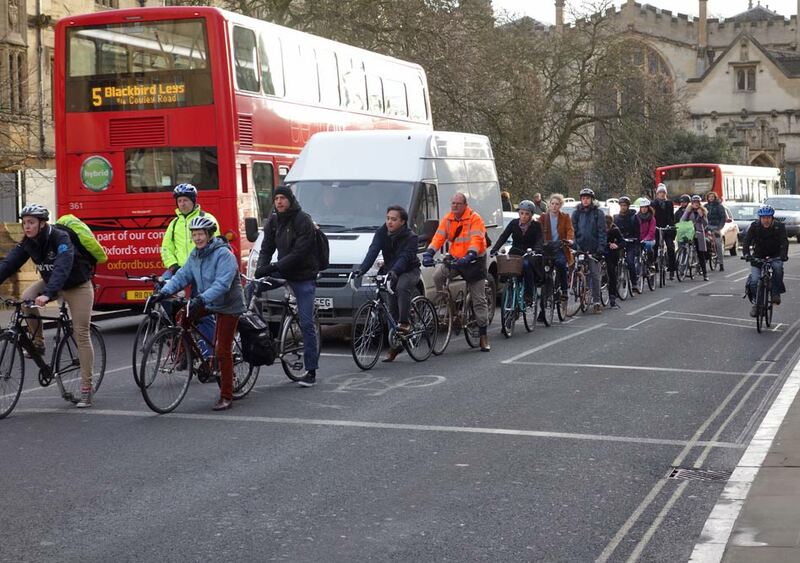 Perhaps some people don’t want to cycle because of the way they drive. A very simple comparison is to look at countries which have built suitable cycling infrastructure – Germany, Holland, Denmark. 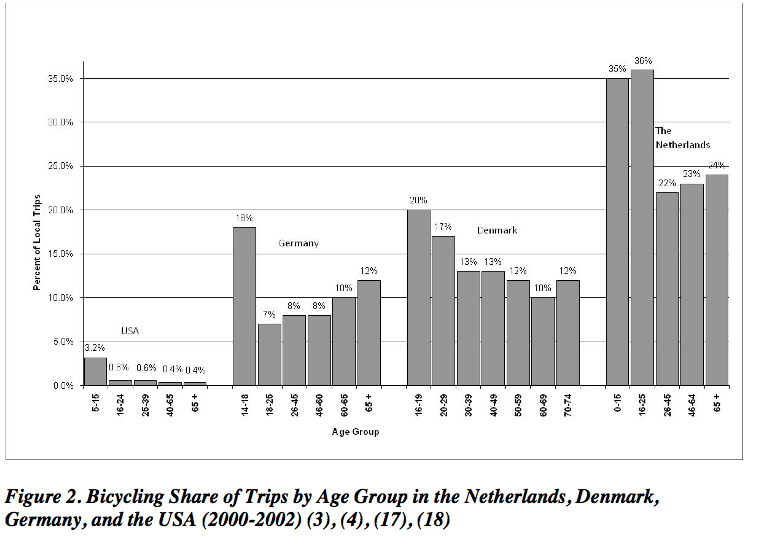 In these countries, the demographic of cycling is spread across all ages and gender. 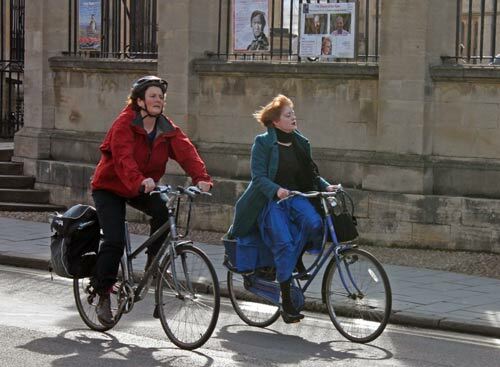 Cycling is seen as safe; when there are good cycle paths, cycling is an extension of a pedestrian mode of transport. Pedestrians simply going a little bit faster. 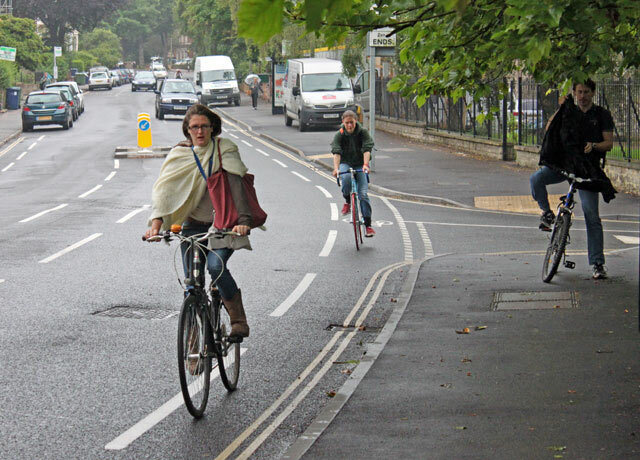 Where, cycling infrastructure is limited or non-helpful, cycling is perceived not as a pedestrian type activity but more of a ‘vehicle type’ activity, without the protection of anti-roll bars and airbags. An activity for the brave or foolhardy. 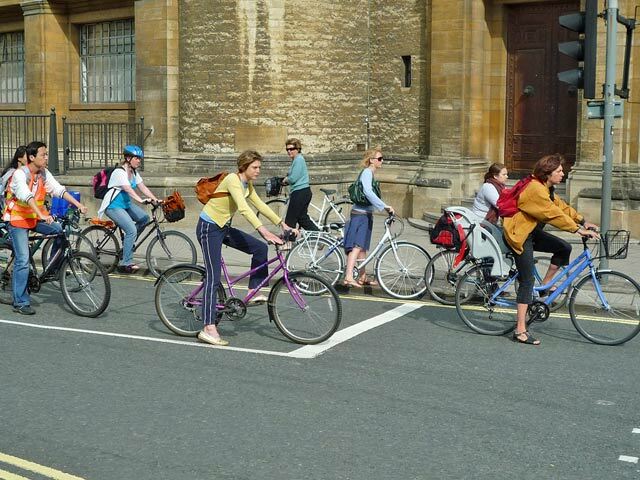 Oxford is by no means a model of cycling infrastructure. 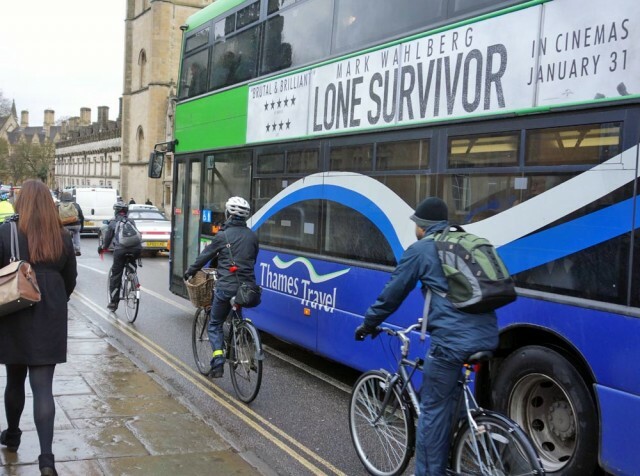 But, it has a high rate of cycling, due to high student population, a history of cycling, limited parking and one-way systems which make motoring less convenient than usual. I don’t know the exact statistics, but when taking photos, it seems a fair cross section of society; it certainly isn’t the preserve of MAMILs. 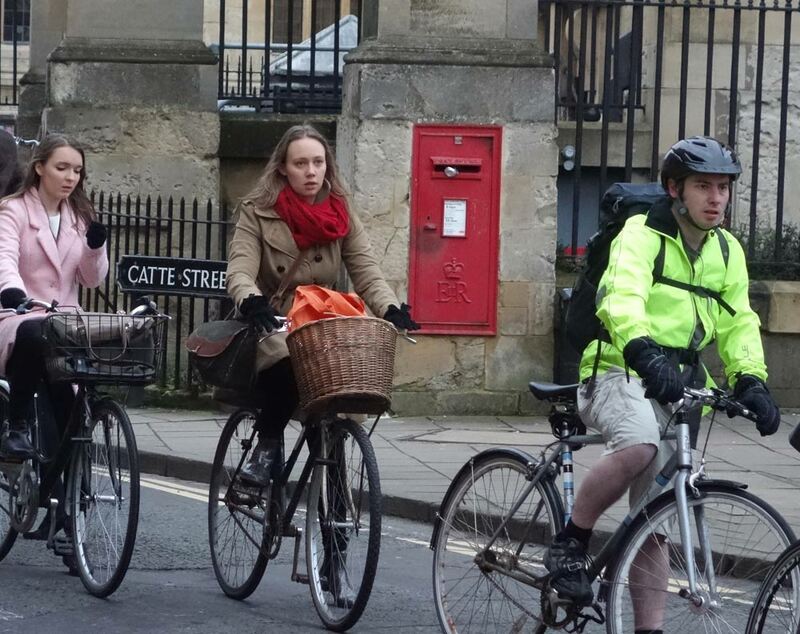 A typical trio of Oxford cyclists. 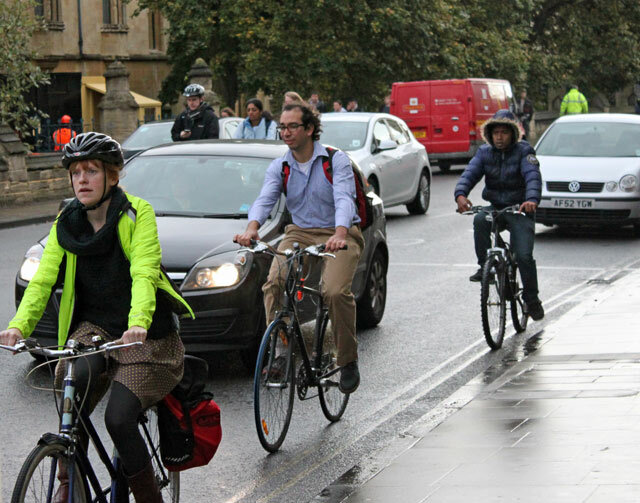 Cycling has a universal appeal – so long as there are good places to cycle. It’s as simple as that. 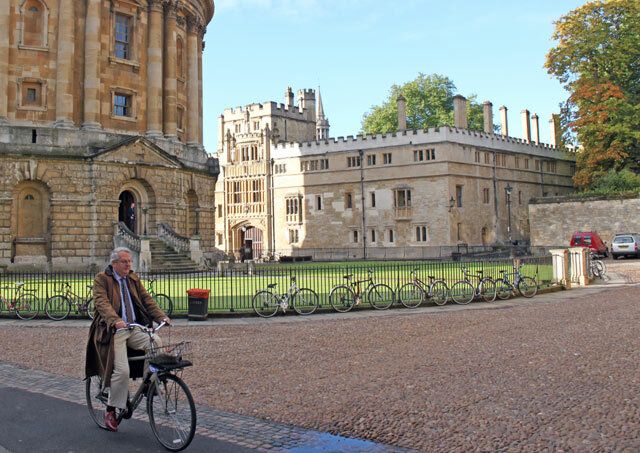 If you take a photo of cyclists in Oxford – you nearly always get completely different approaches to cycling within the same photo-frame. 25% will be high viz / helmet, 50% will be people who just jumped on their bike to cycle the odd mile or sol. People on the way to work. 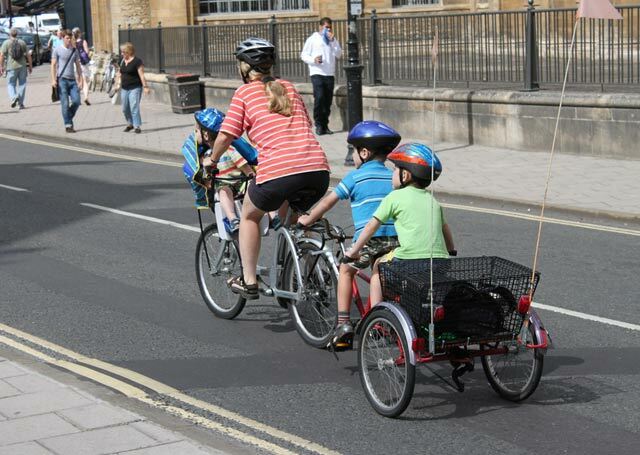 Children are still a small percentage of cyclists, but you do see quite a few family carriers. It always gives me a lot of joy to see families go by bike. If only cycle lanes were better, you would see a lot more. 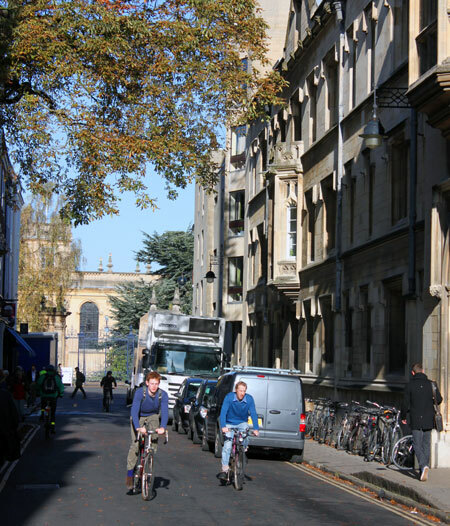 When Cycling in Oxford is good, it’s very good. 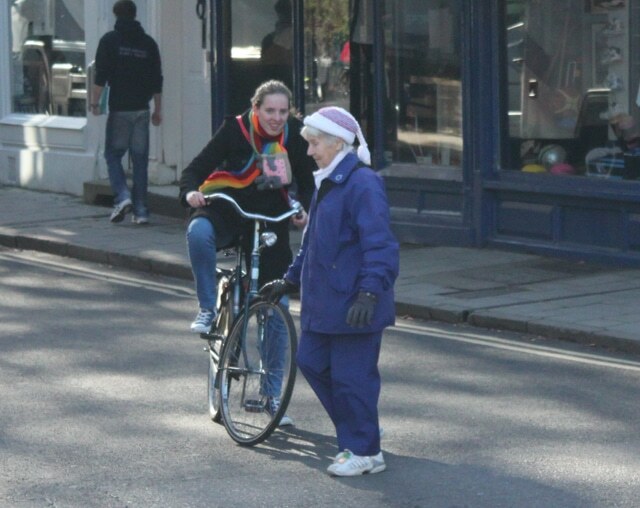 Patient cyclists – When cycling is a cross section of society – it seems you get better behaviour and improved compliance. It certainly seems in areas of high cycle rates, there is relatively less conflict between different road users. When cycling is through dangerous streets, by just a small percentage of young men, both the demographics and traffic system are more likely to encourage the more ‘aggressive’ and ‘determined’ cycling – that people complain about. (1) Maybe it wasn’t Birmingham. But, it’s probably a sentiment you may find in all the major UK cities. I assume you’re thinking of Councillor Alden in Edgbaston. I completely agree that cycling is not, in itself, dangerous. Even small kids can do it. I think this post from AsEasyAsRidingABike illustrates the point brilliantly too. It seems that Oxford Council are promoting cycling at the moment very strongly. Instead of making cycling easier they have made driving impossible (at least around Headington). 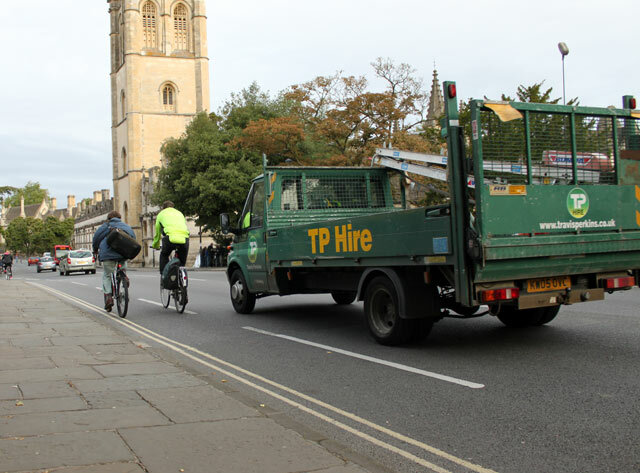 The ongoing failure of traffic management is one reason for the success of cycling in Oxford. Thanks for your work on this blog, I enjoy it.